Jiji C V Received his B. Tech in Electronics and Communication from T K M College of Engineering (University of Kerala) in 1988; M. Tech. 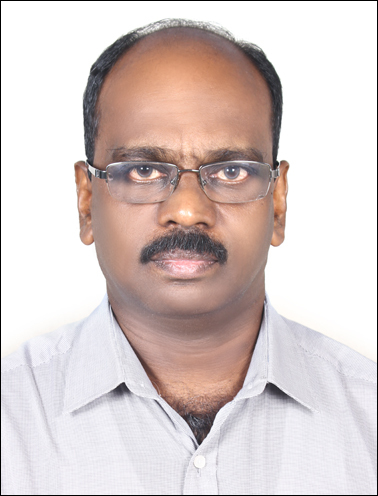 in Communication Engineering from Indian Institute of Technology, Mumbai in 1997; PhD from the Department of Electrical Engineering, Indian Institute of Technology, Mumbai in 2007. Before joining CET in 1991, he served as Engineer-SB at Institute For Plasma Research, Bhat, Gandhinagar, Gujarat in 1989 and Electronics Officer at National Airports Authority during 1989-1991. He was the Visiting Researcher at University of Trento, Italy in 2006. He teaches Random Processes and Applications, Digital Filter Design & Applications, Advanced Digital Signal Processing, Multirate Systems and Wavelets, Digital Image Processing, Estimation & Detection Theory. His research areas are Computer Vision, Image Processing, Computational Photography, Signal Processing.